Jaipur, known as the Pink City, is the largest and one of the most famous cities in the state of Rajasthan, India. 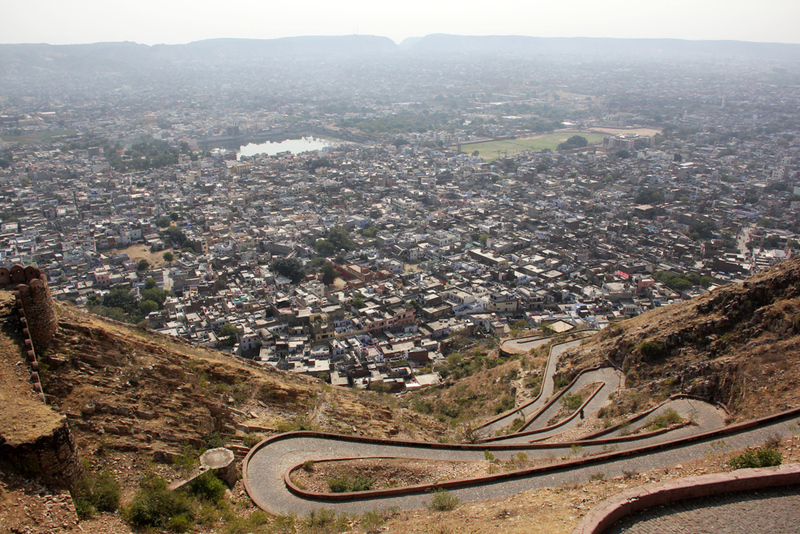 On my first day in the city, I climbed the small mountain leading to the Nahargarh Fort to get an overall view of the city. The scenery was fantastic. The most famous landmark and easily one of the most recognizable structures in Jaipur is the Hawa Mahal. 953 small windows make this building an impressive sight to see. 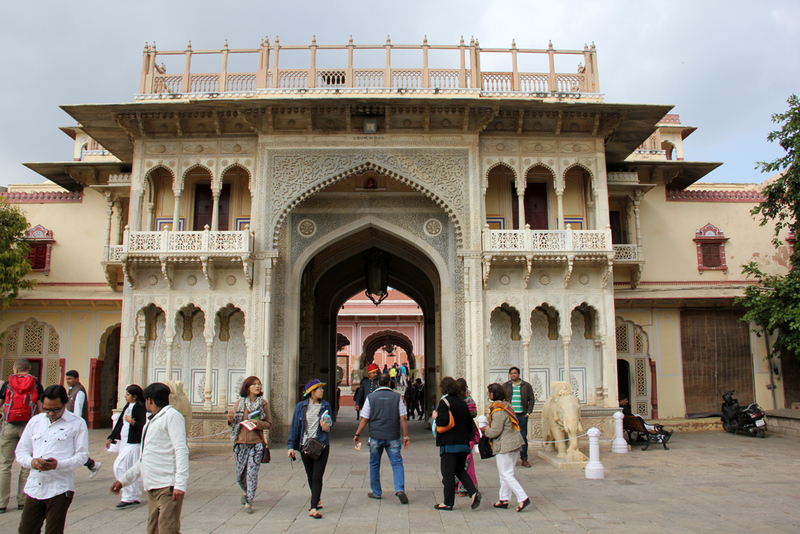 In the center of Jaipur is the City Palace, a luxurious compound that was formerly the capital of Rajasthan. There's a lot to see and admire in this series of buildings that's set up as a museum. The courtyards and doorway entrances at the City Palace are spectacular. 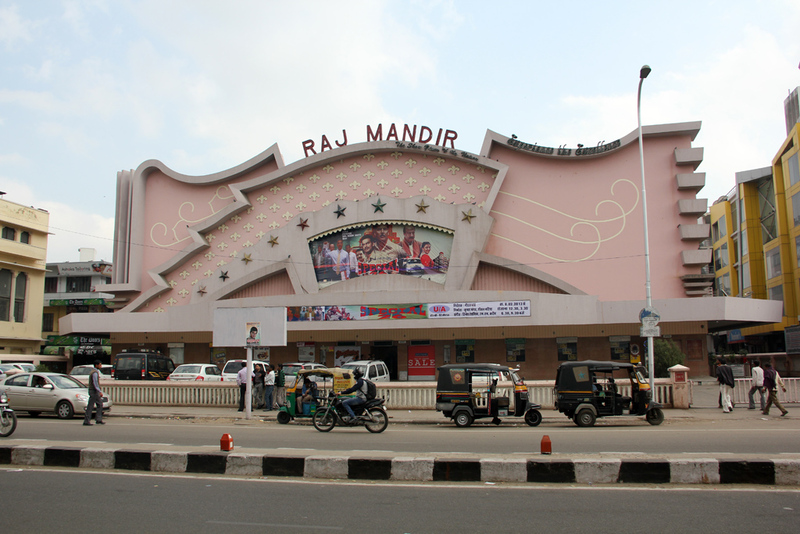 The Raj Mandir Cinema is one of the most famous places in all of India to watch Bollywood Hindi movies. 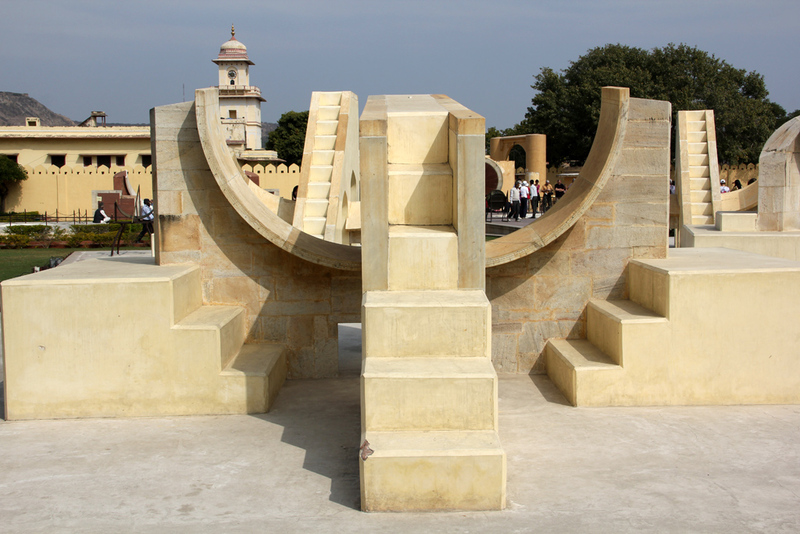 Built by Sawai Jai Singh in the mid 1700's, Jantar Mantar is an impressive astronomical observatory with a number of instruments used to tell the time and trace celestial objects. 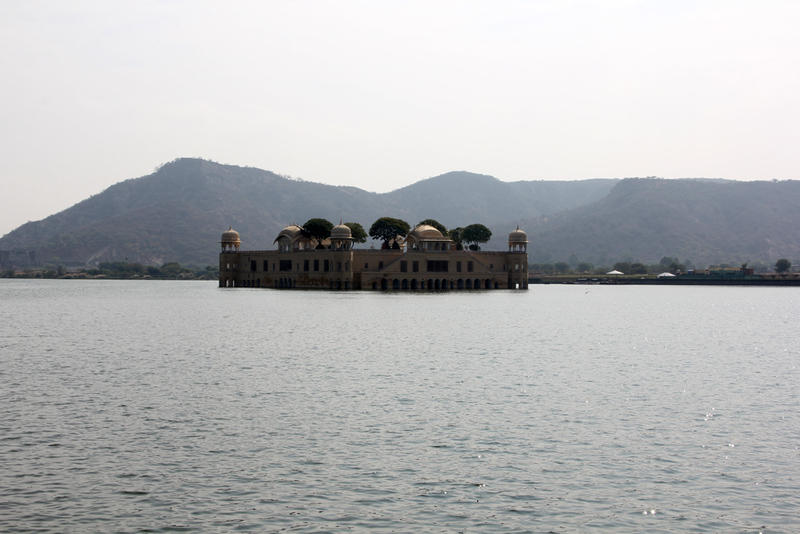 Heading out of town is the water palace known as Jal Mahal. 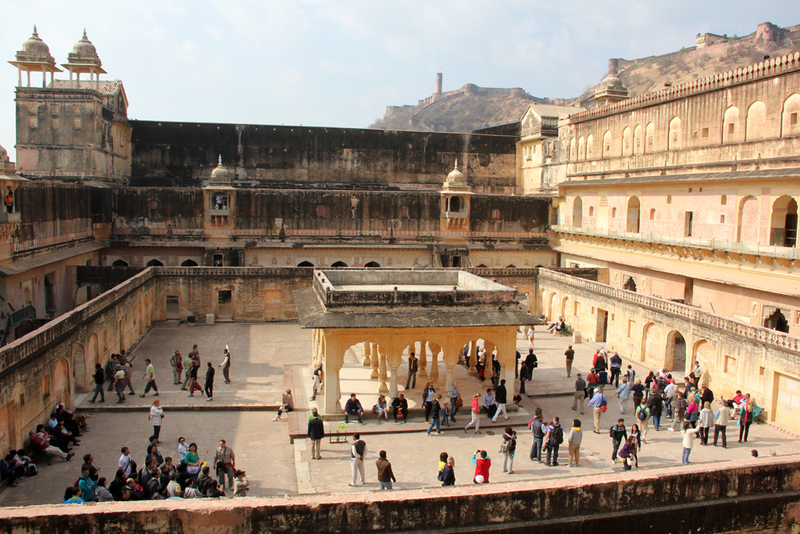 11 kilometers outside of central Jaipur is the Amber Fort (or Amer Fort). The light yellow colored fort occupies the entire face of the mountain. There are always plenty of tourists at the Amber Fort, but luckily it's huge, so there are many sections and chambers to explore. One of the things I loved doing in Jaipur was just wandering around and looking at the interesting buildings and decorations – there's so much to see. 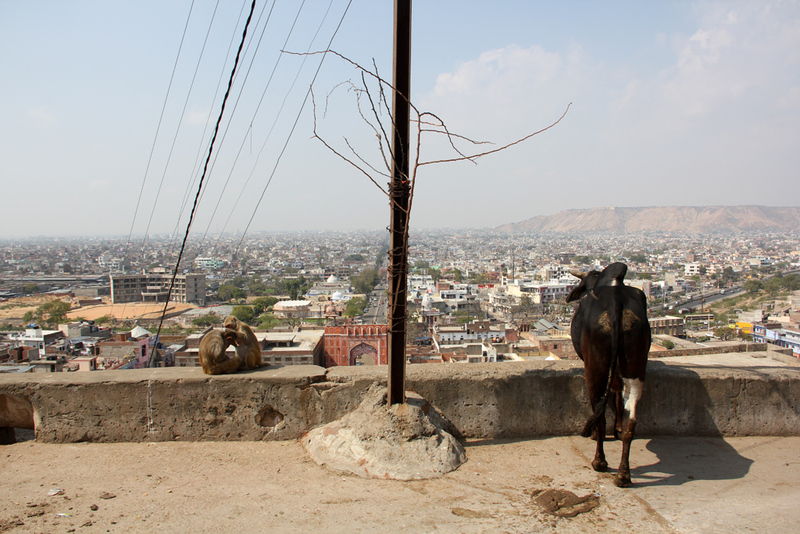 Walking around Jaipur, you'll often be followed by some animals, goats, monkeys, or cows being widely spread throughout the city. With its history, forts, temples, and palaces, Jaipur is a must visit city in India. Hello Mark, thank you for such nice photos of Jaipur. I love Jaipur, not just because I live here its also because this city has a charm which attracts me always. 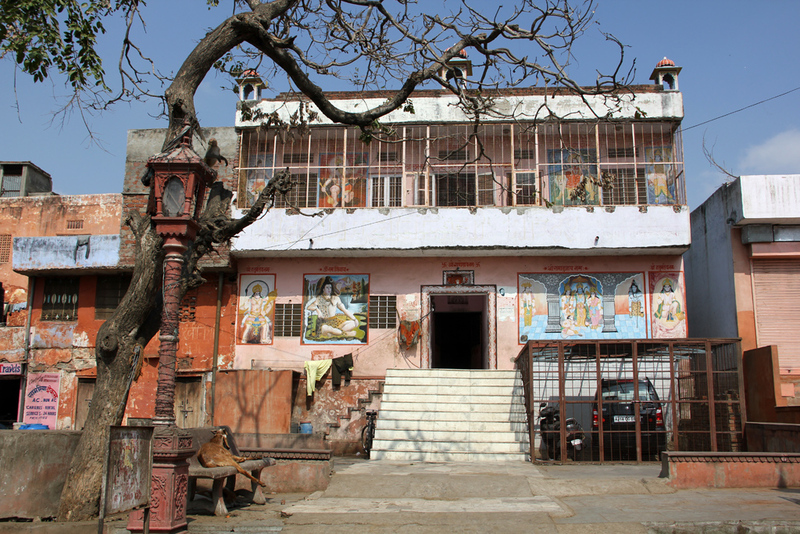 You talked about incredible buildings in Jaipur, here is one more which is situated inside Galta Temple (Moneky Temple). Incredible photos of Jaipur. Looks like a lovely city! The Taj Mahal gets all the attention, but it’s nice to see everything else that’s worth a visit. Sometimes the names and places don’t get as much attention as “the one monument” that steals all the thunder. I totally agree with @Snarky . 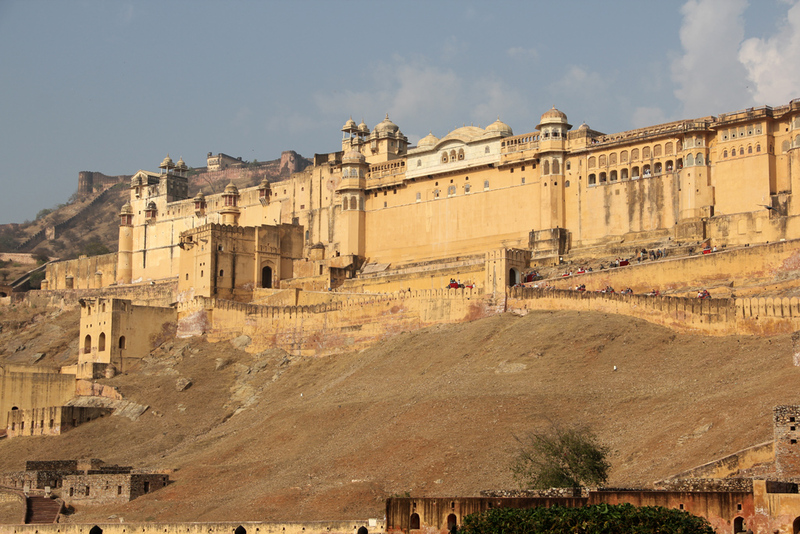 Rajasthan is the hub of Indian Forts. So if you guys interested to visit in India make a plan to visit Rajasthan also. Wonderful Photos! 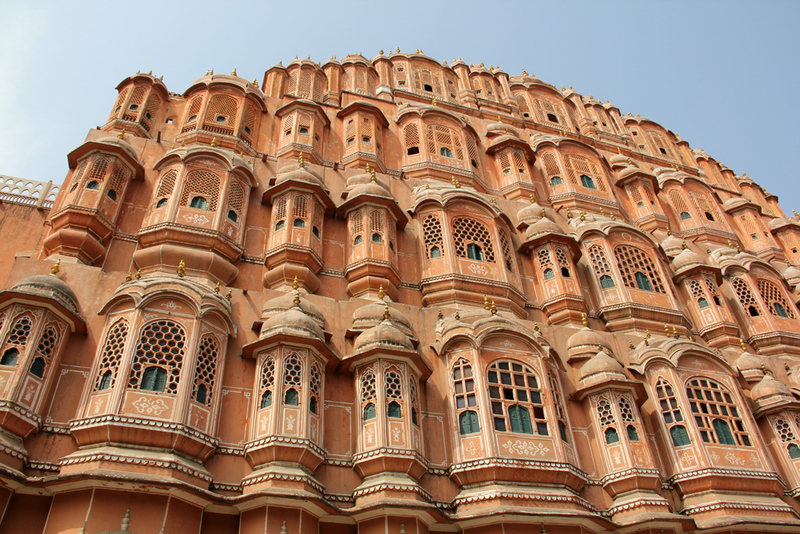 I have just added the The Hawa Mahal to my list! Stunning stunning buildings! I guess in this city there are enough curiosities to last a lifetime. I´ve always wondered why it´s called the Pink City..and now I know! In the 19th century the whole city was painted pink to welcome the Queen of England and her husband, apparently pink is a symbol of hospitality in India, or at least in the particular region. Well, and after that the name just stuck and so did the color on the walls. It must be quite faded though, because I would hardly call that pink..That´s why I was a bit confused about the nickname and couldn´t figure it out. Its nice post! 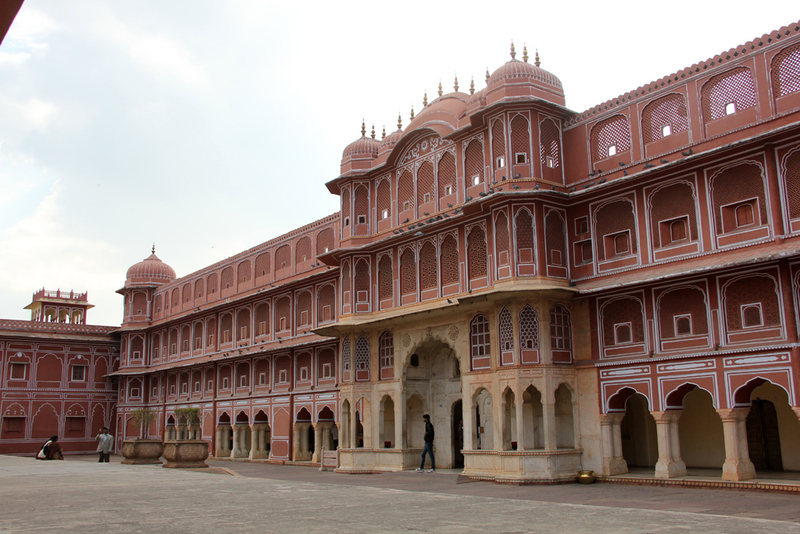 you have mentioned the Jaipur “Pink City” buildings very well.